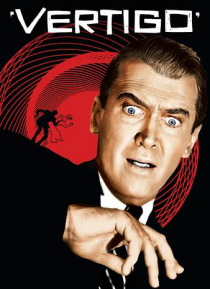 Considered by many to be director Alfred Hitchcock's greatest achievement, Leonard Maltin gives VERTIGO four stars, hailing it as "A genuinely great motion picture." Set among San Francisco's renown landmarks, James Stewart is brilliant as Scottie Ferguson, an acrophobic detective hired to shadow a friend's suicidal wife, Madeleine (Kim Novak). After he saves her from drowning in the bay, Scottie'… s interest shifts from business to fascination with the icy, alluring blonde. When he finds another woman remarkably like his lost love, the now obsessed detective must unravel the secrets of the past to find the key to his future.